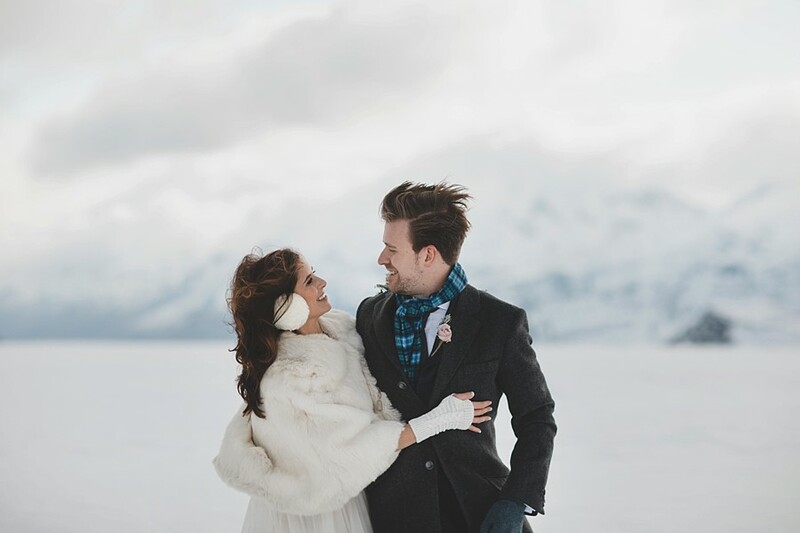 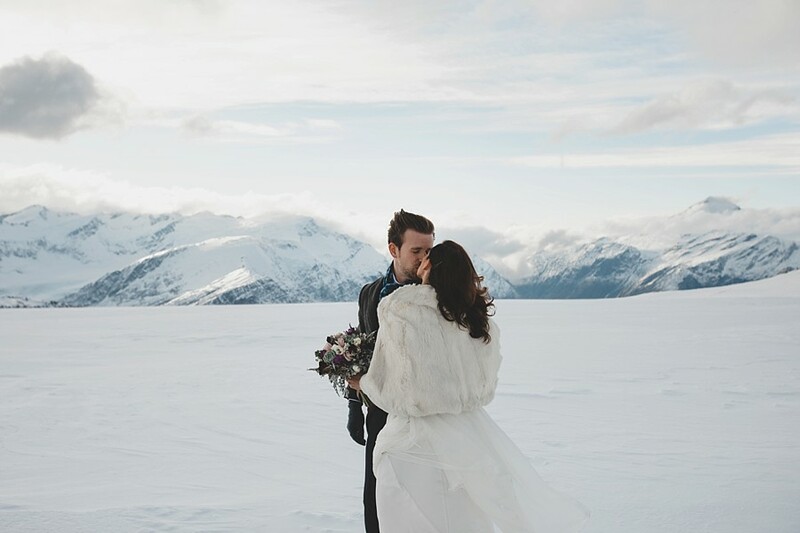 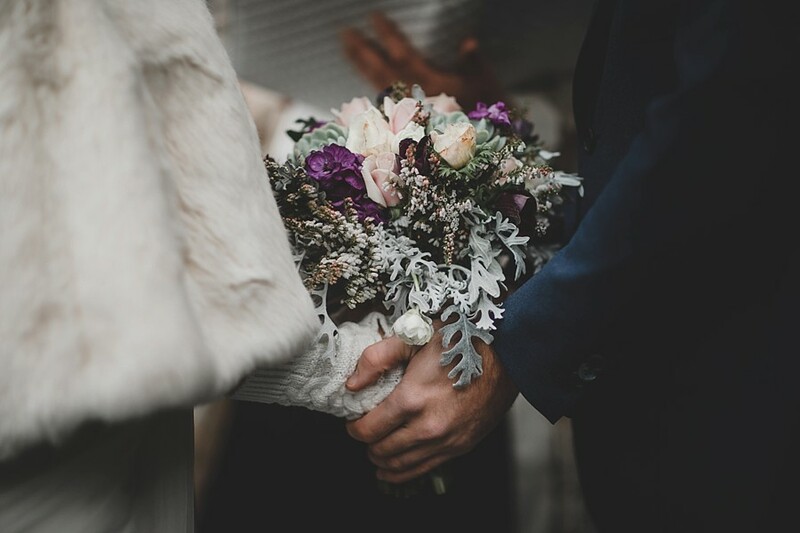 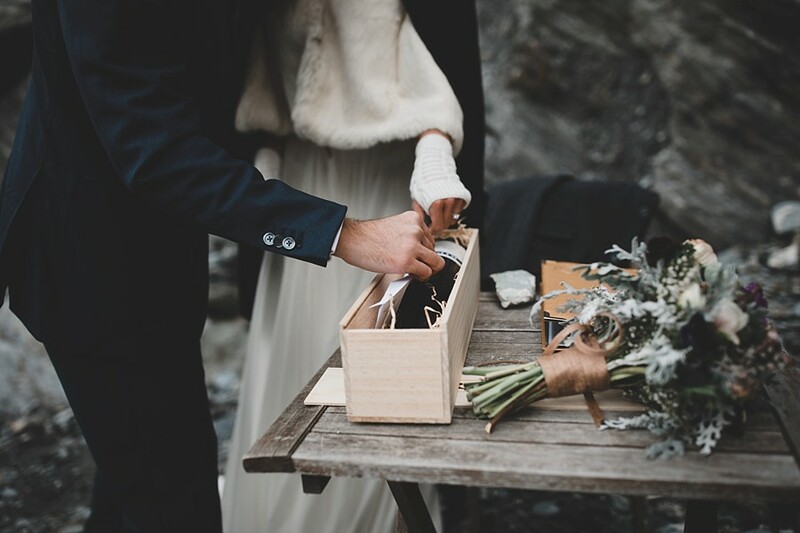 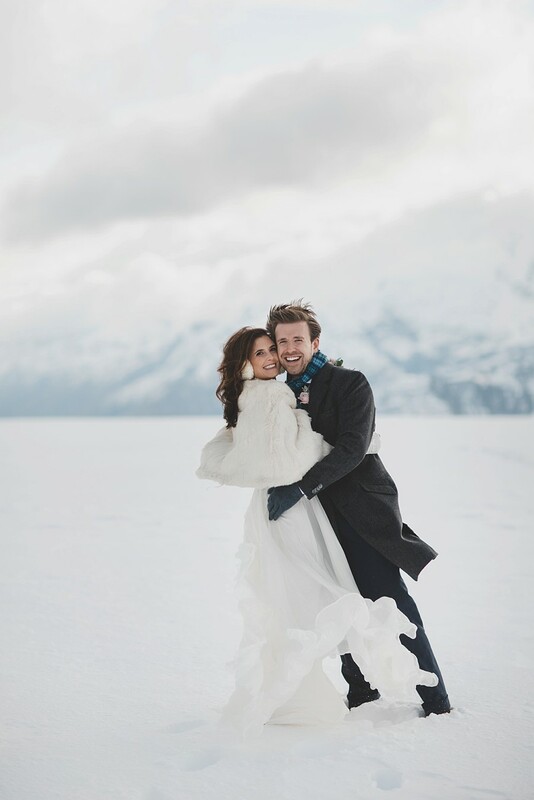 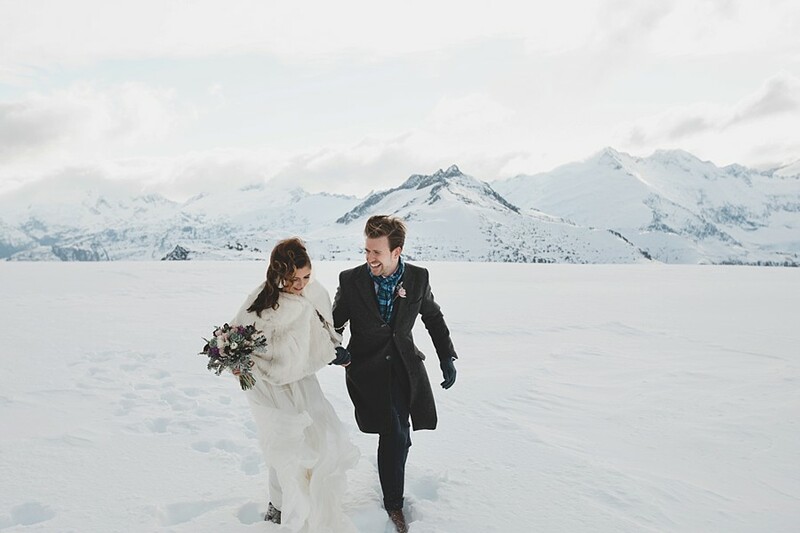 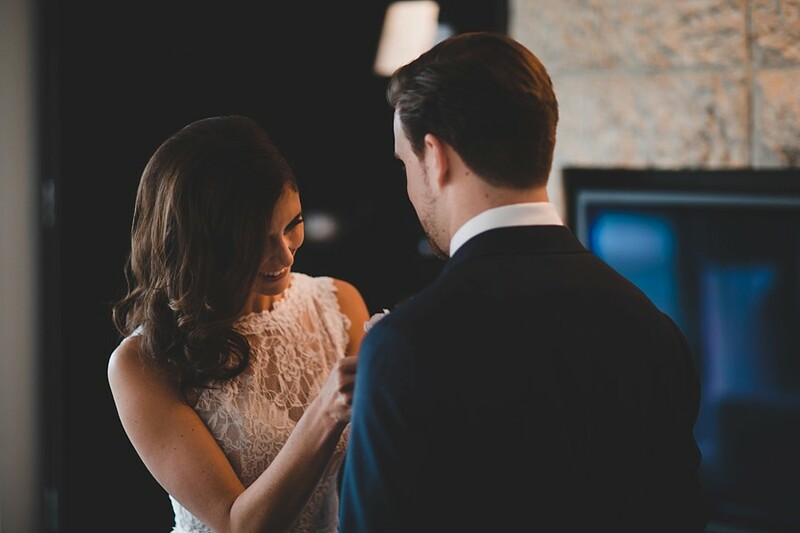 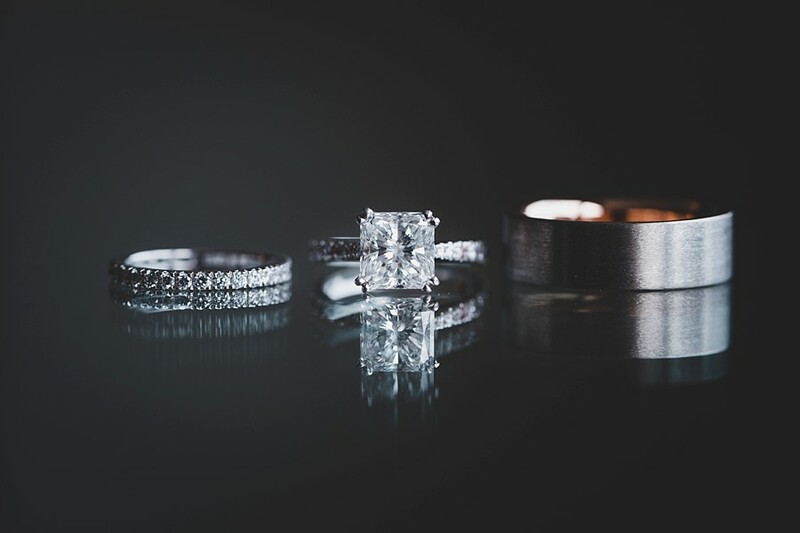 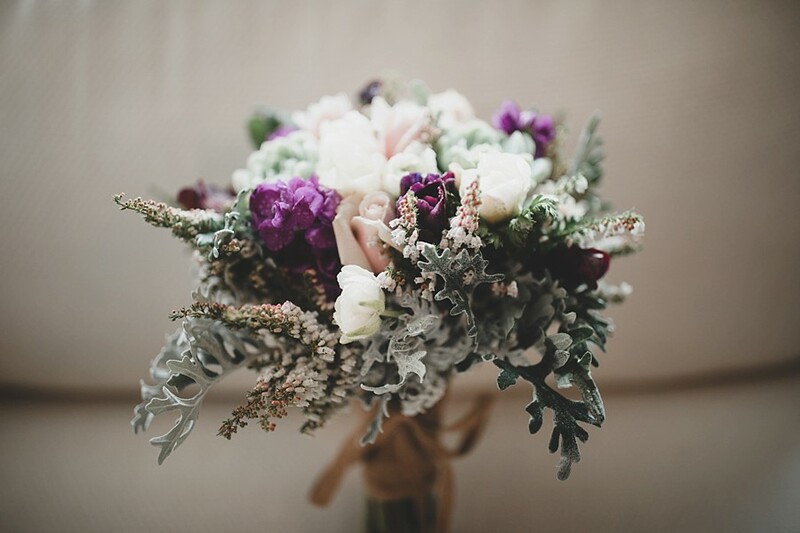 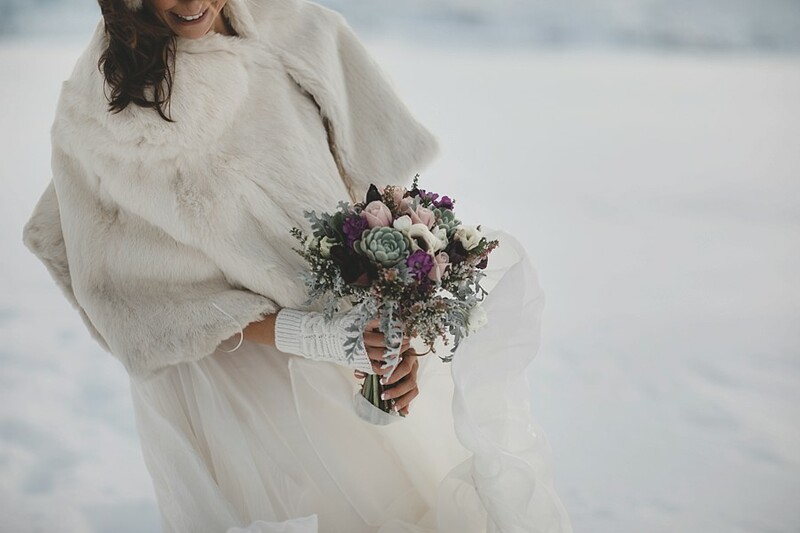 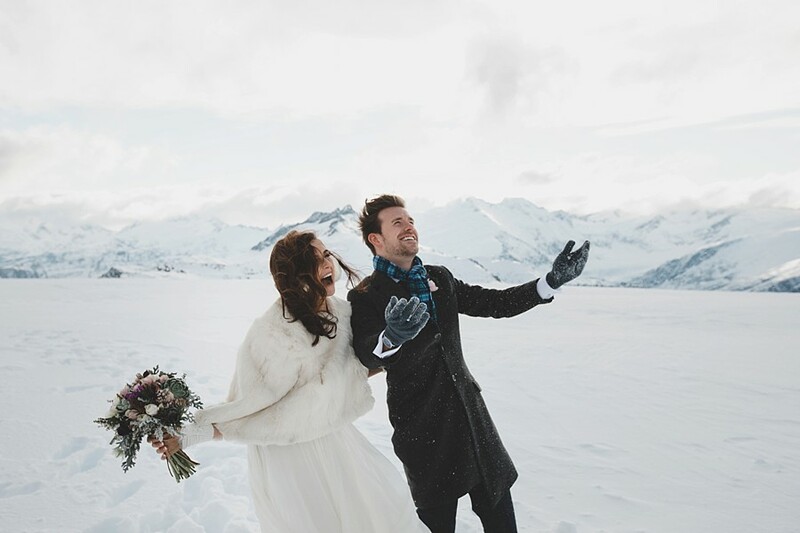 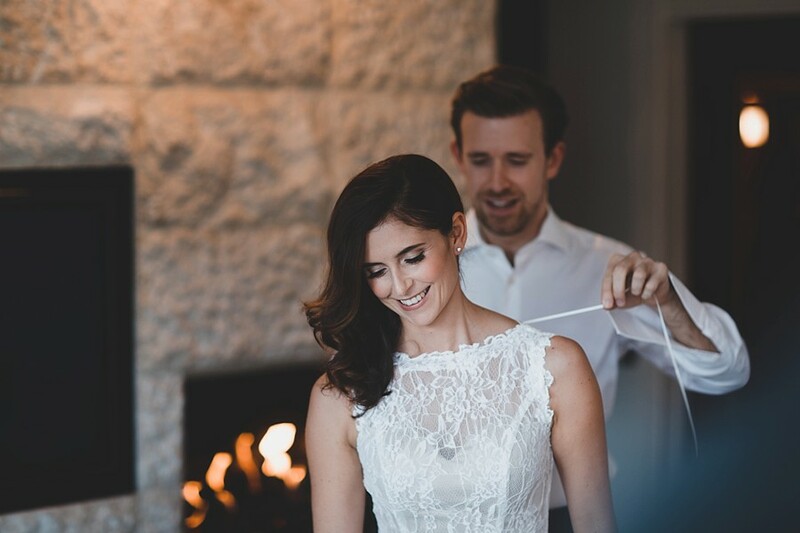 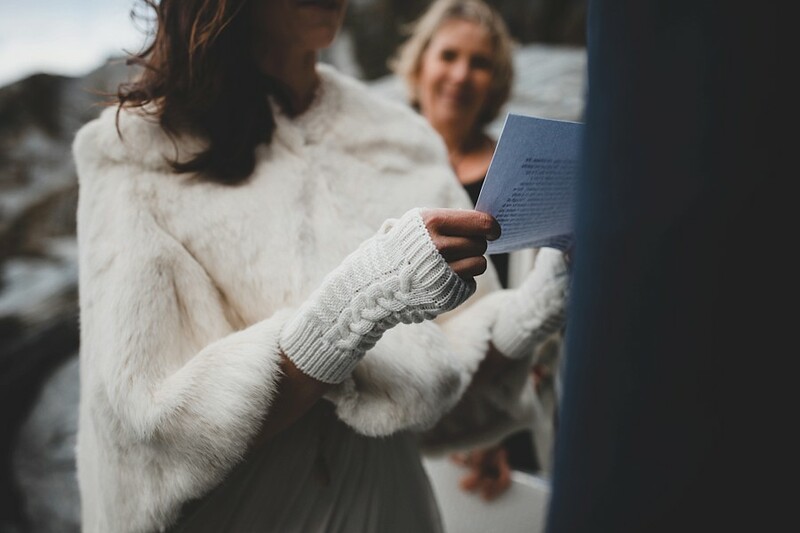 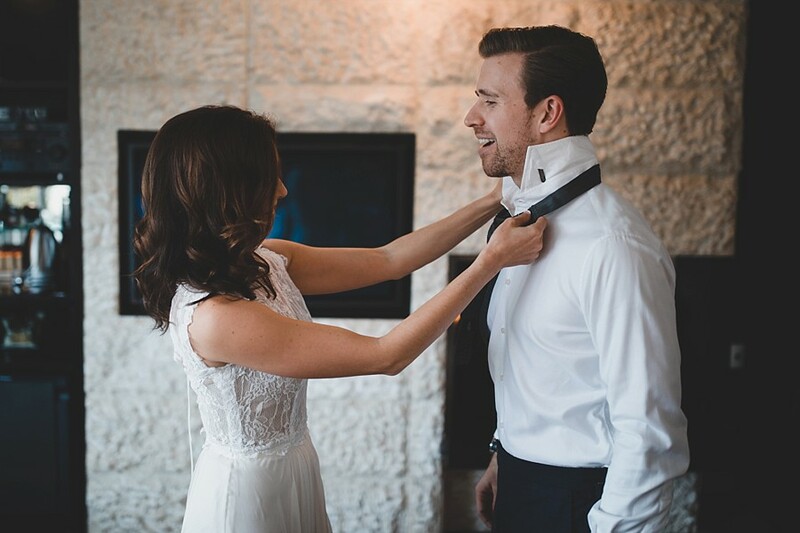 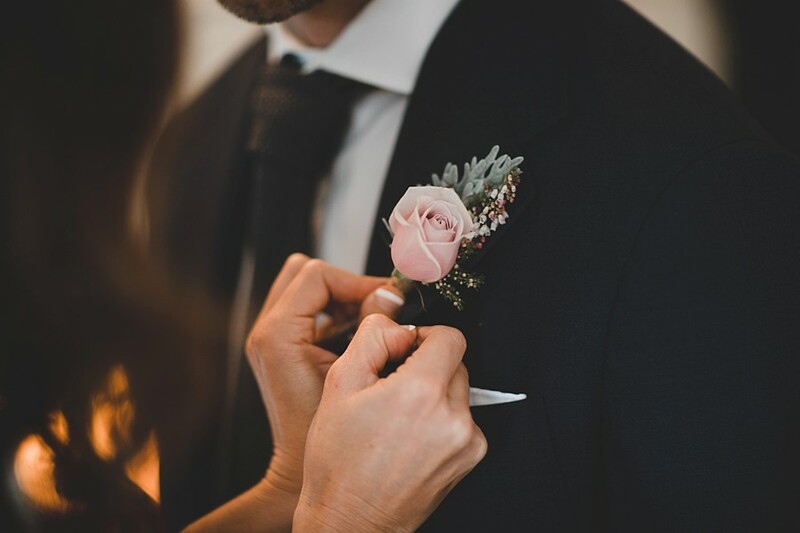 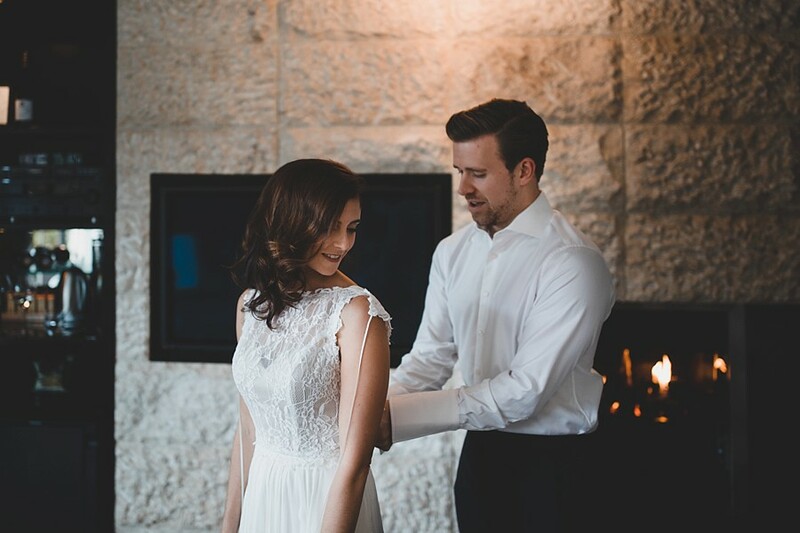 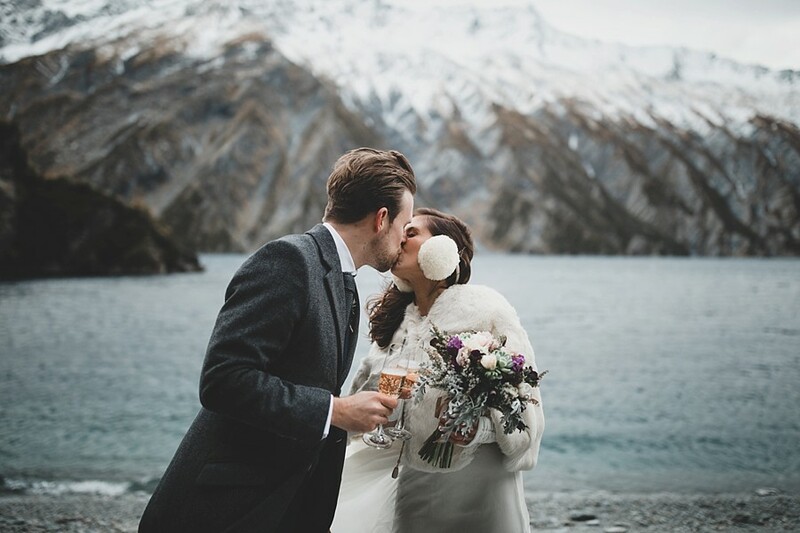 Kady & Scott wed on a wintery afternoon in early June, and their brief was really simple. 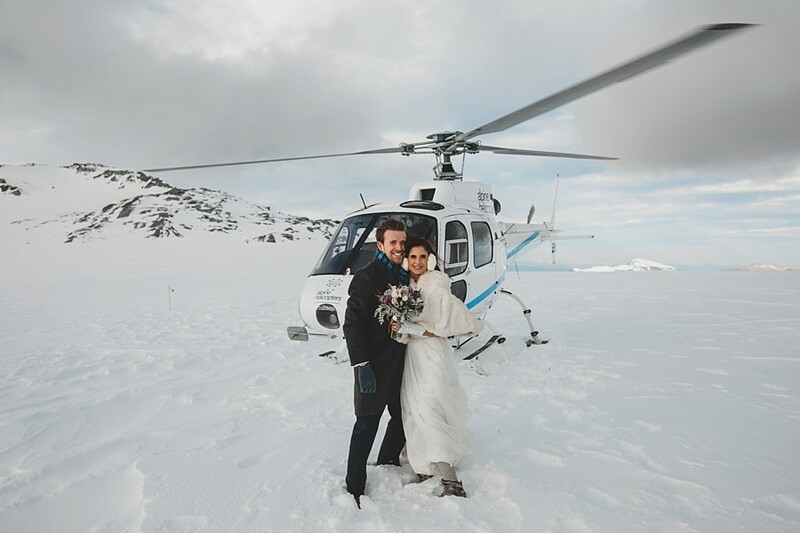 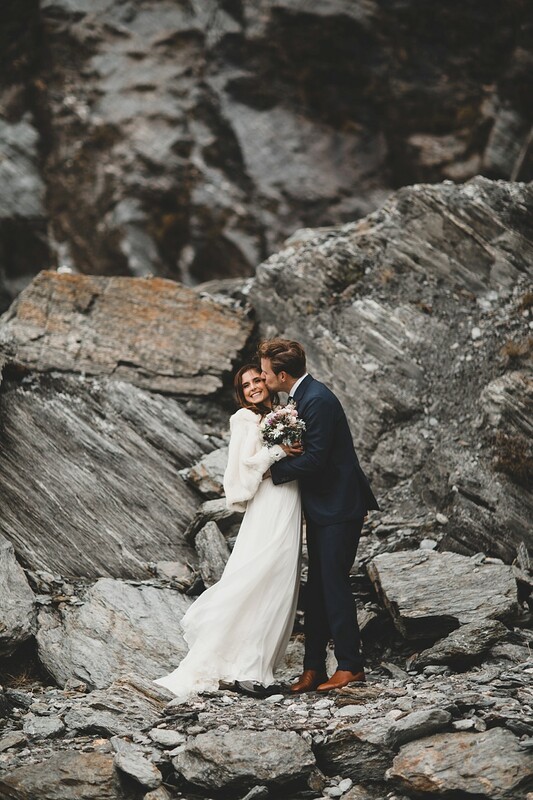 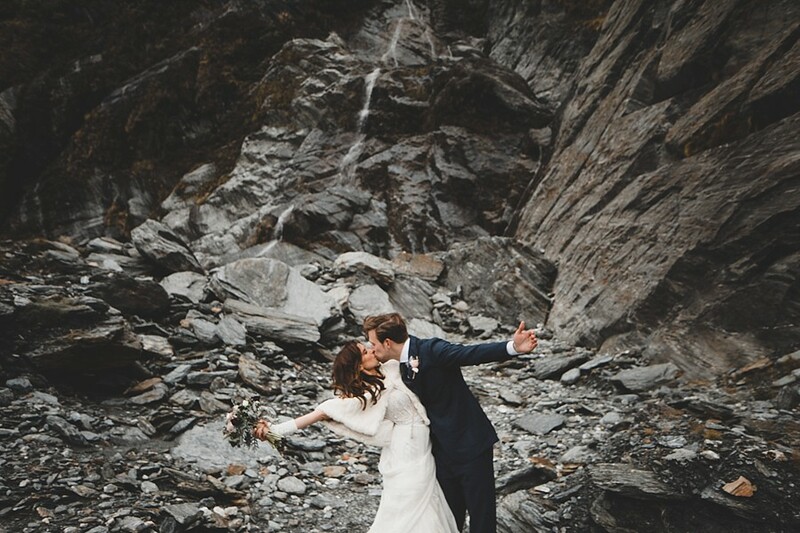 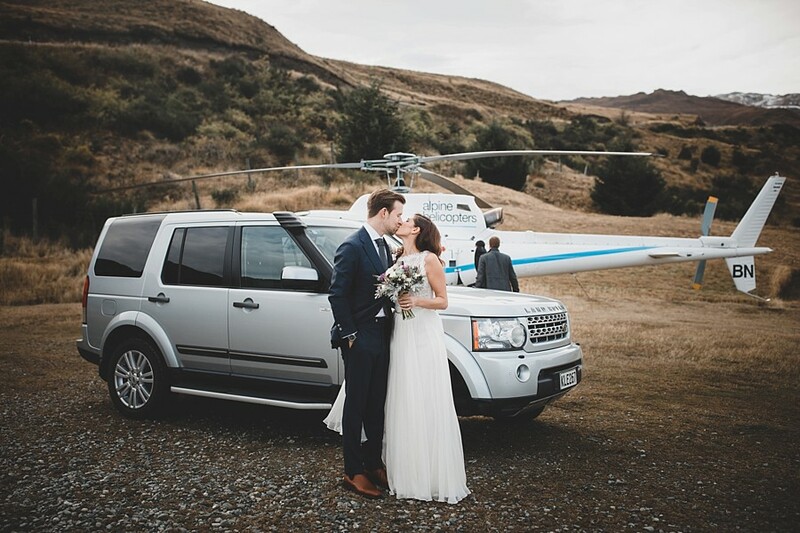 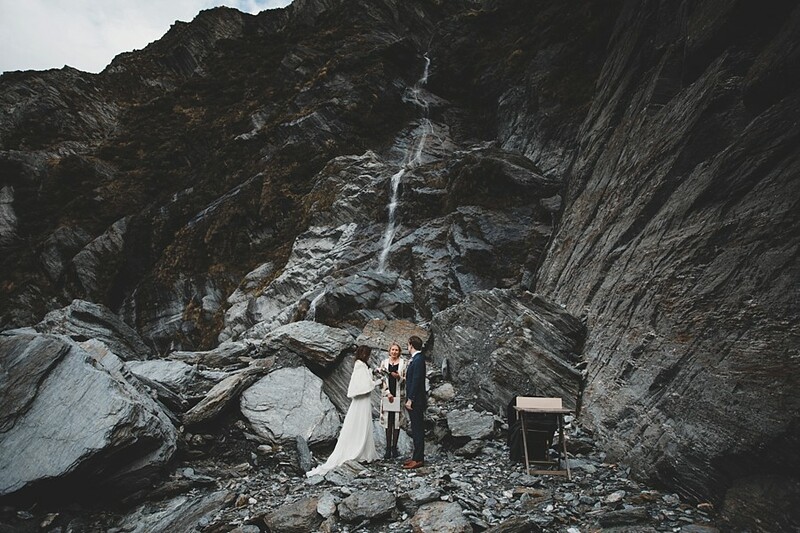 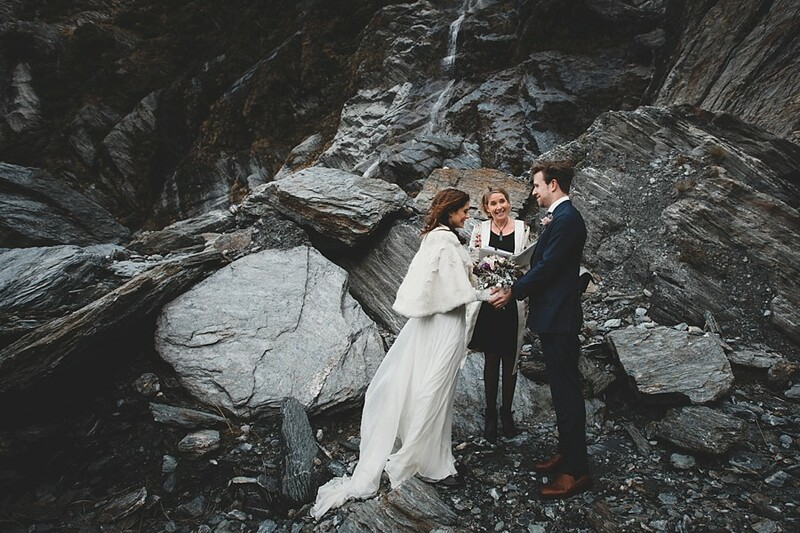 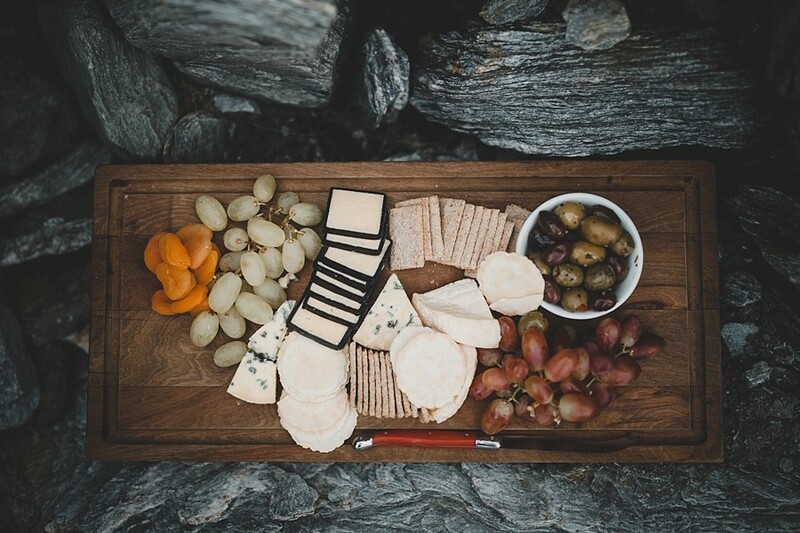 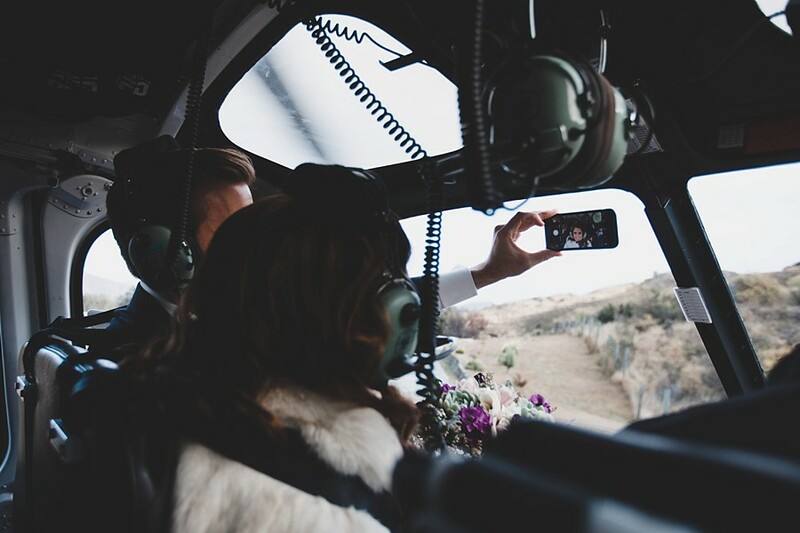 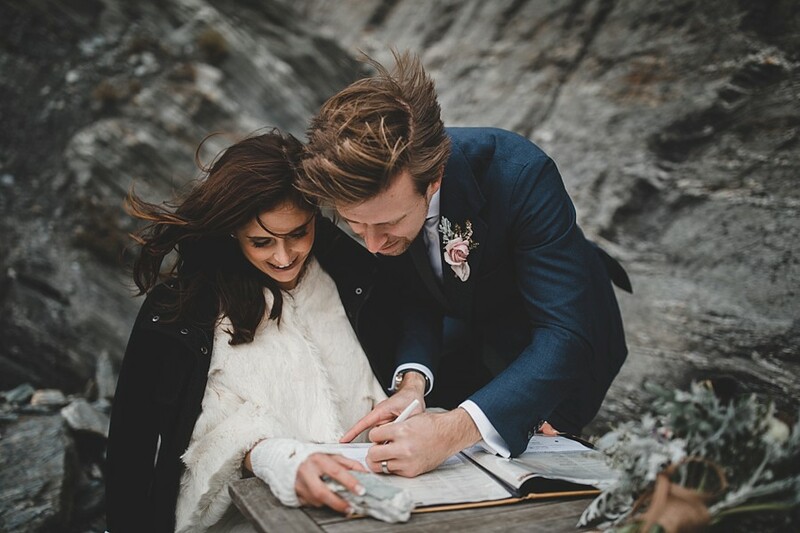 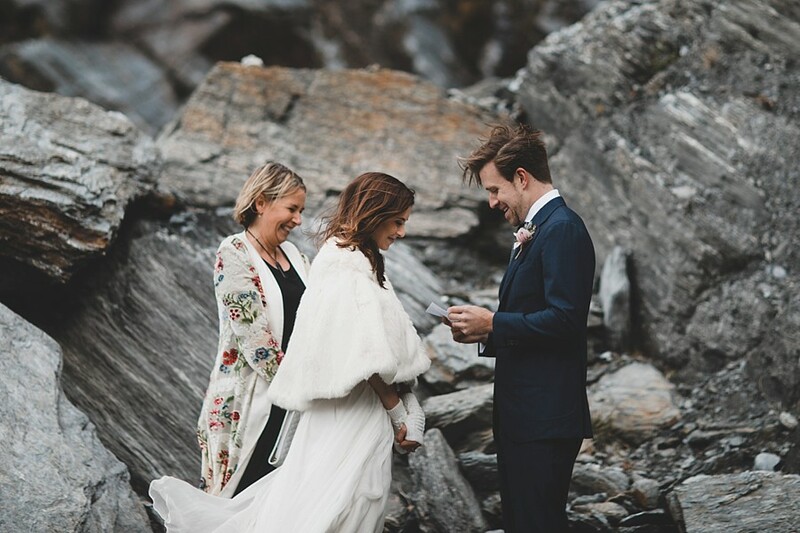 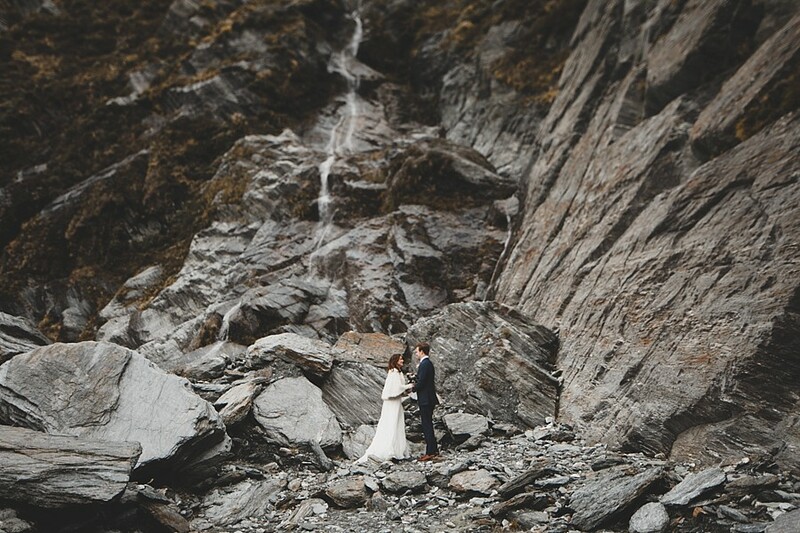 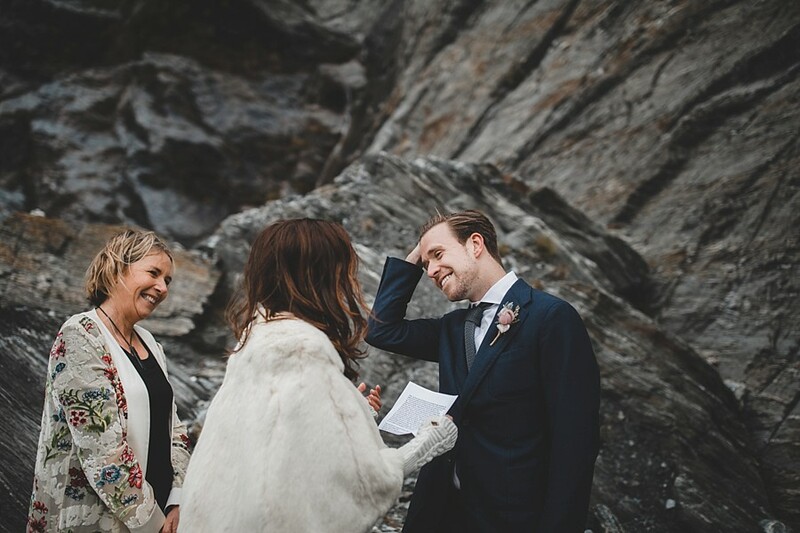 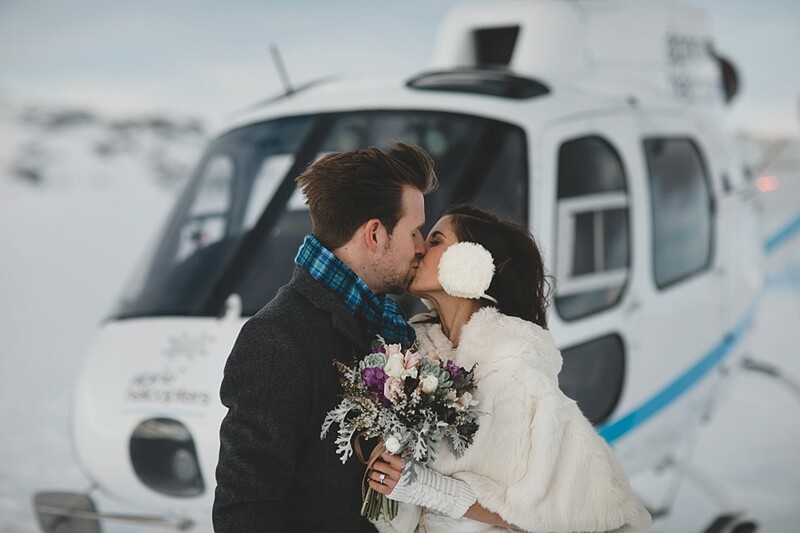 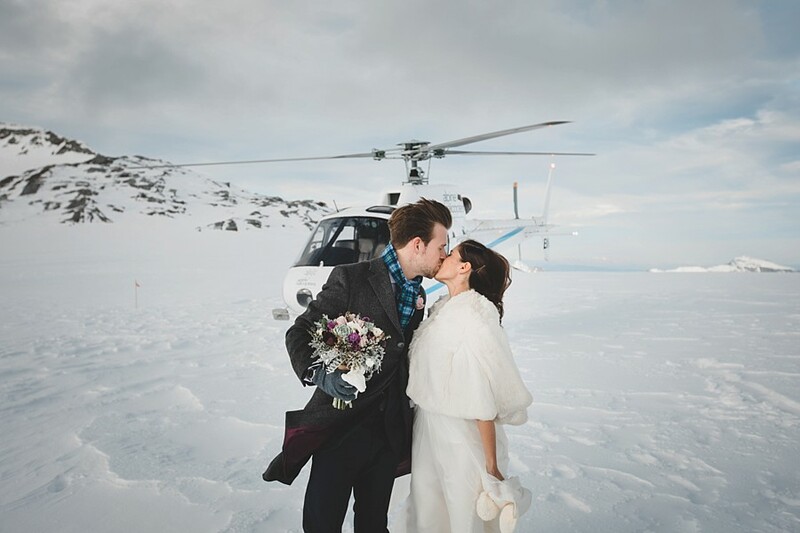 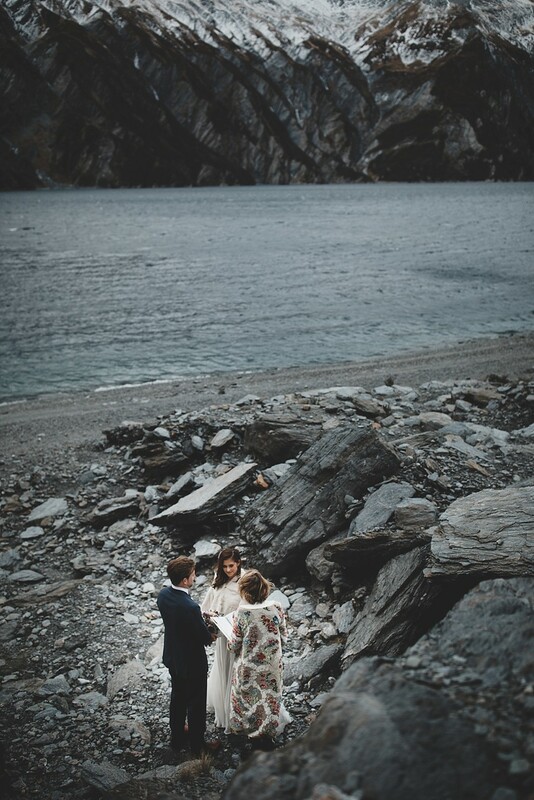 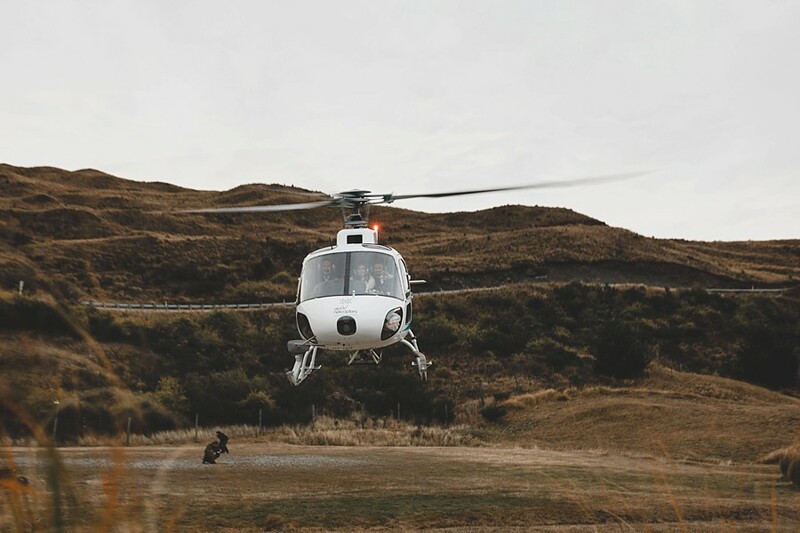 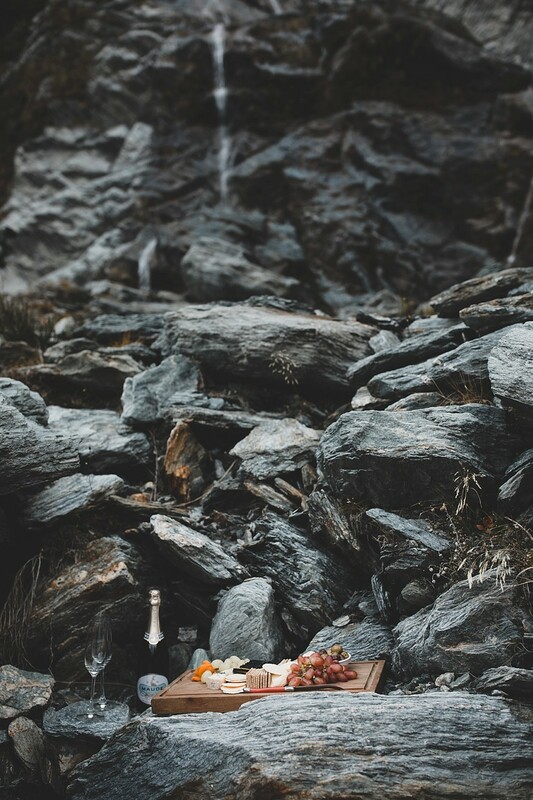 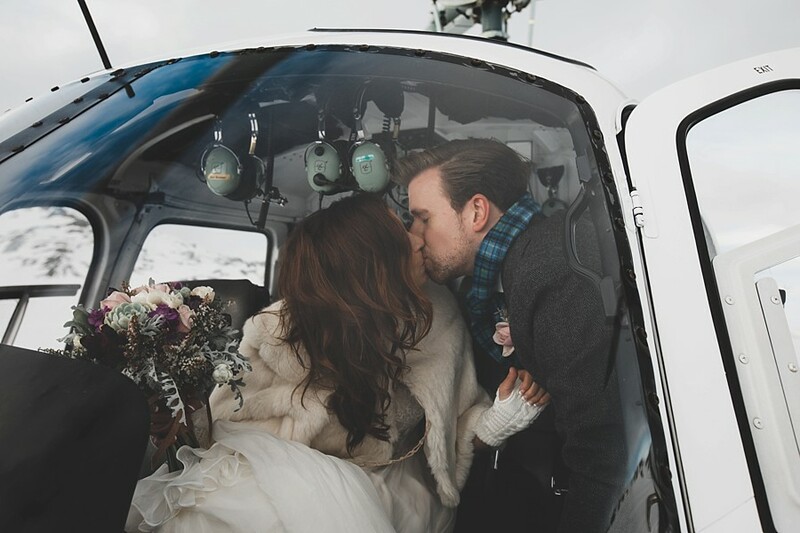 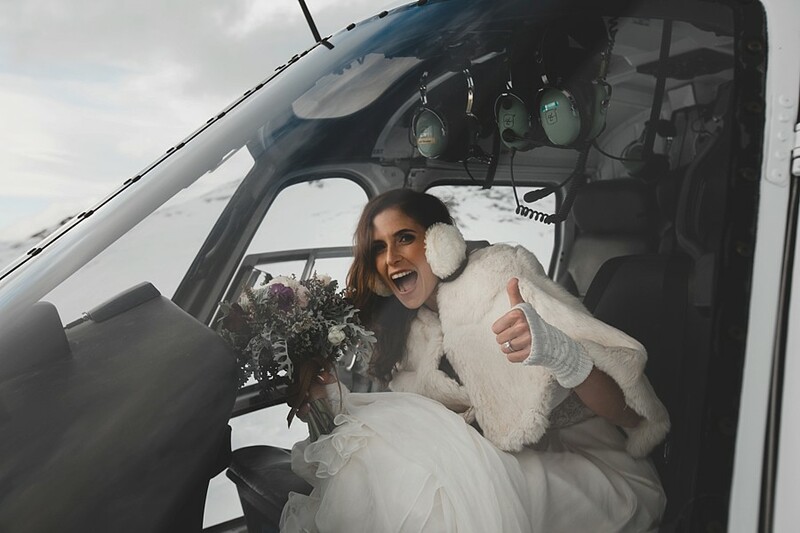 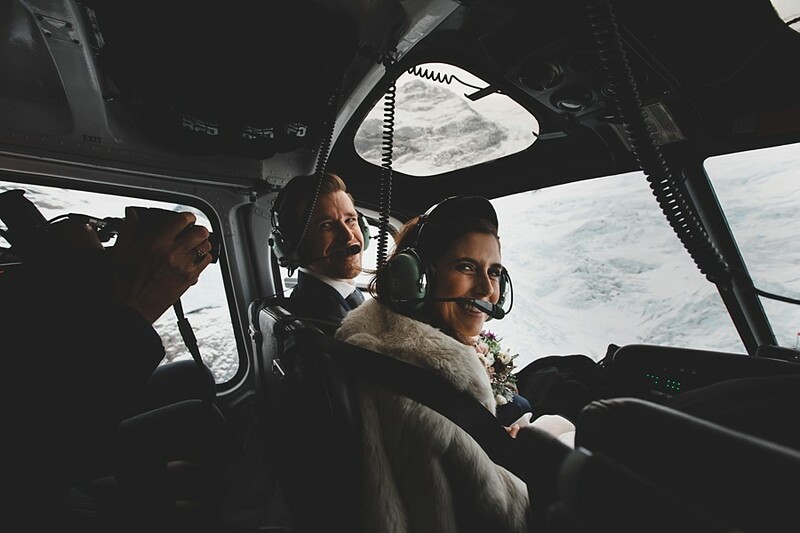 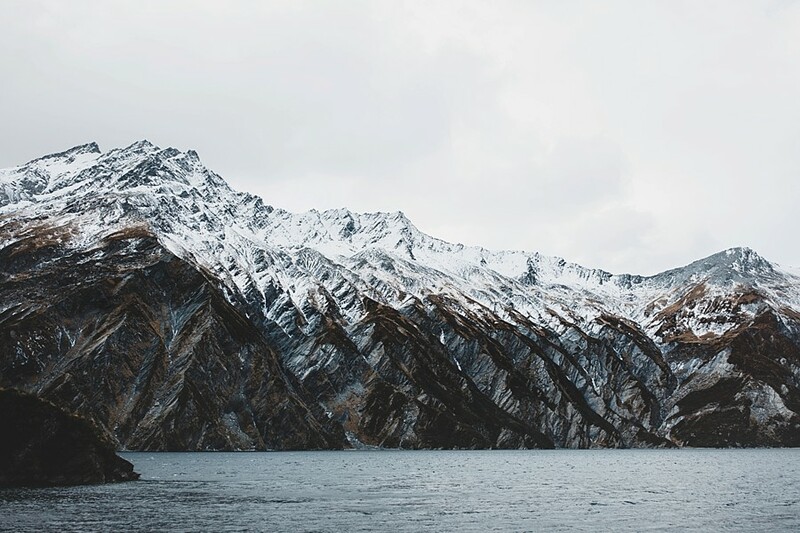 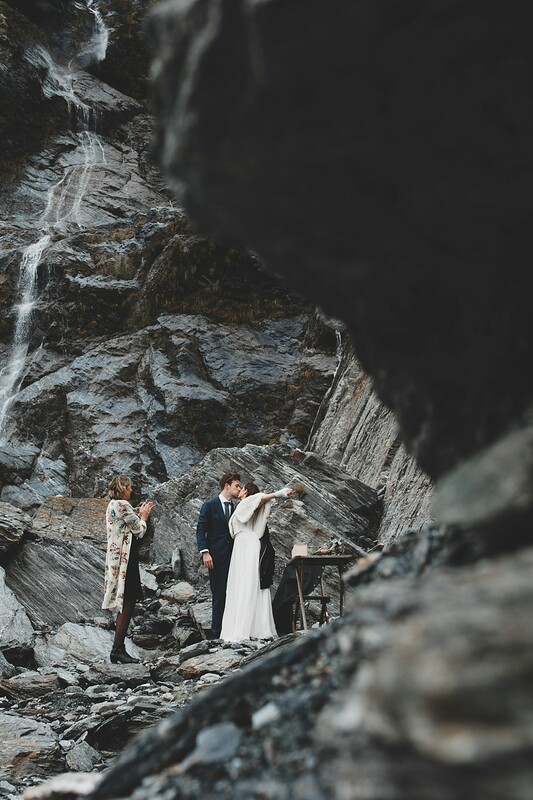 A heli-wedding, somewhere amongst the mountains of Queenstown and Wanaka. 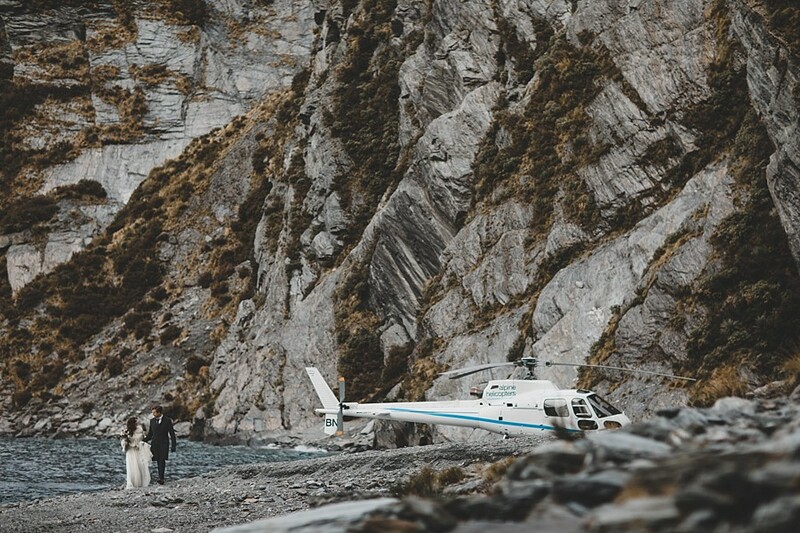 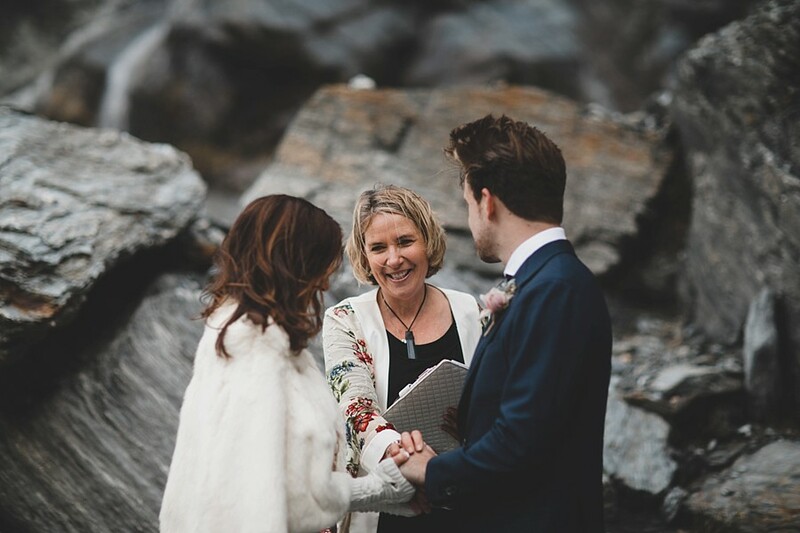 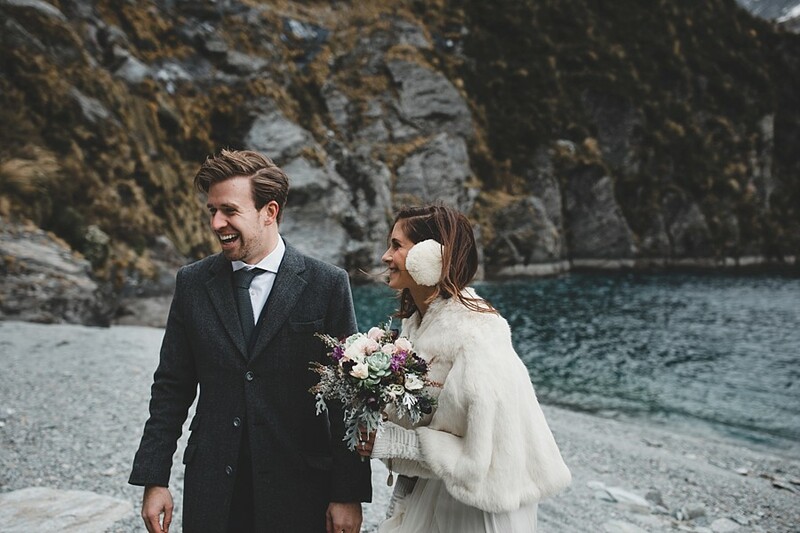 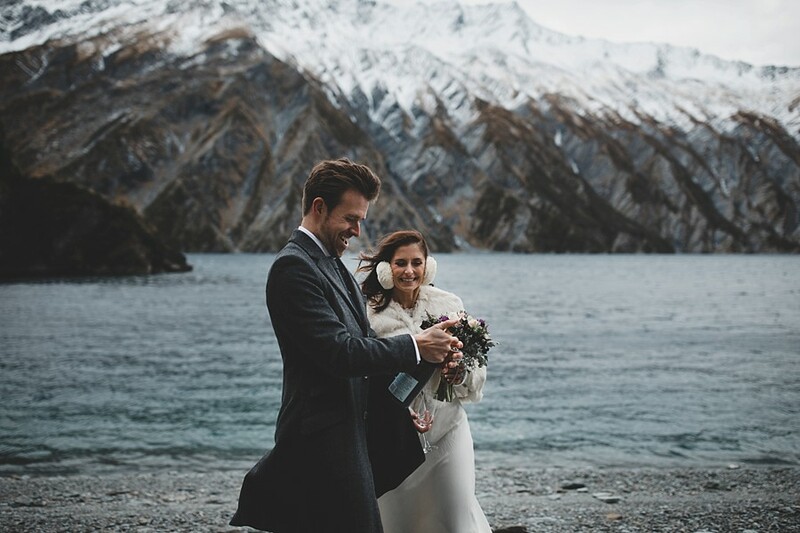 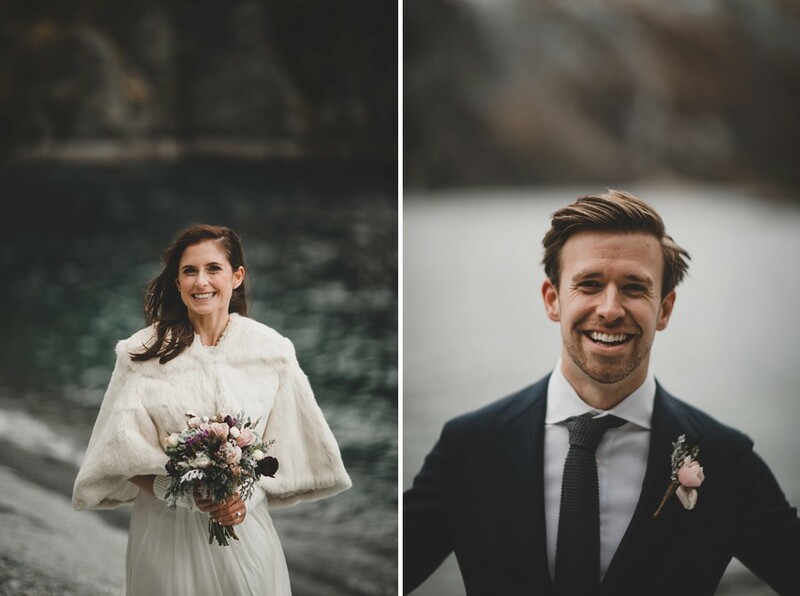 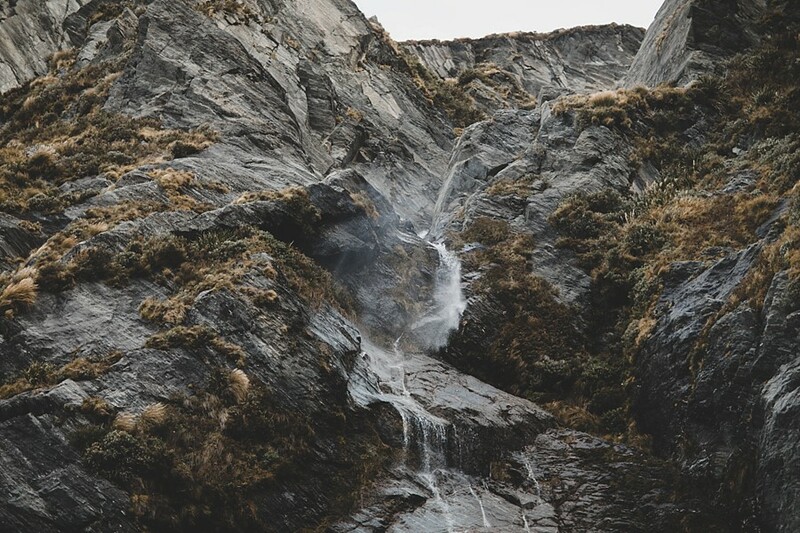 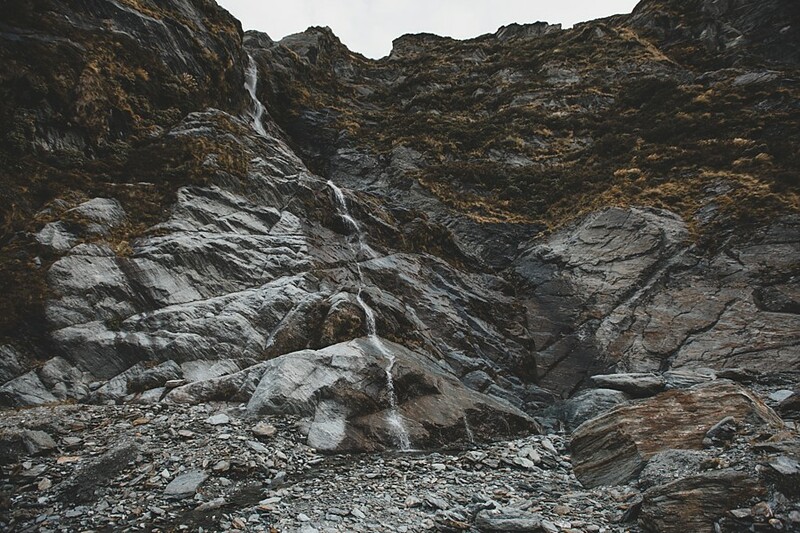 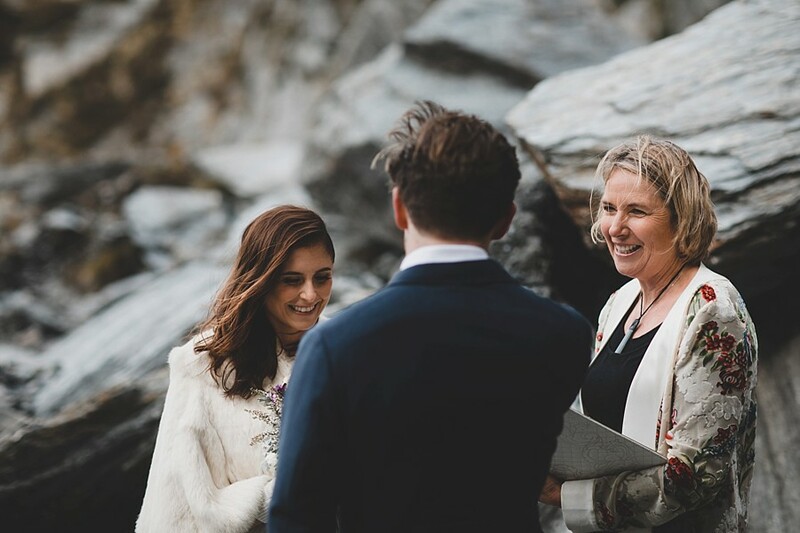 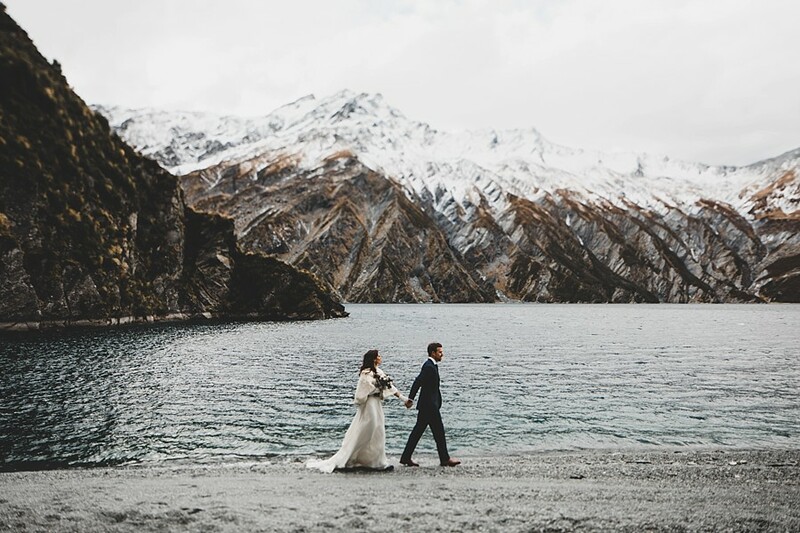 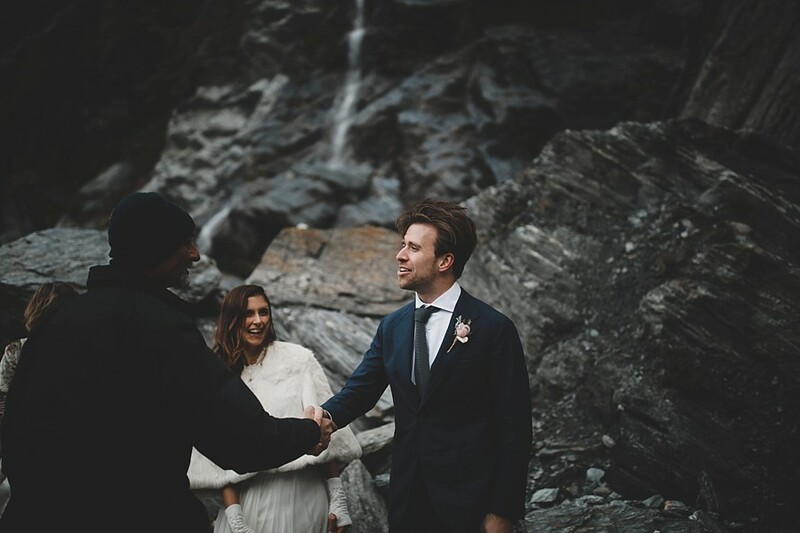 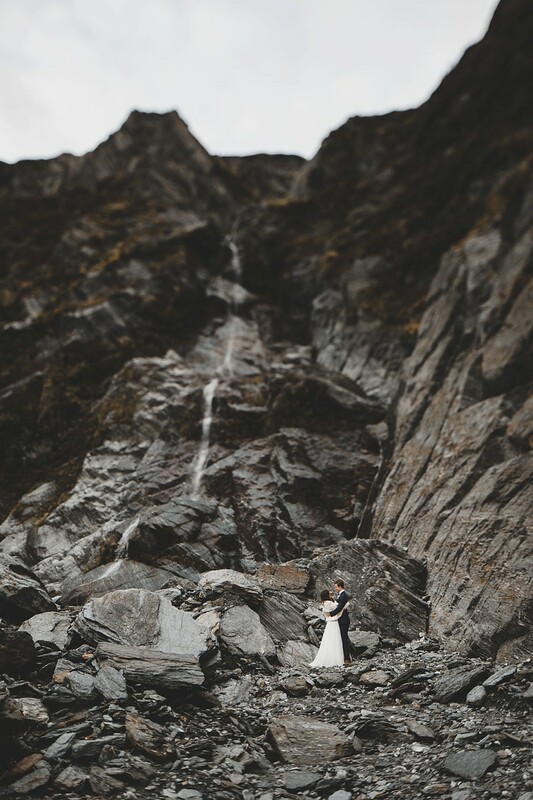 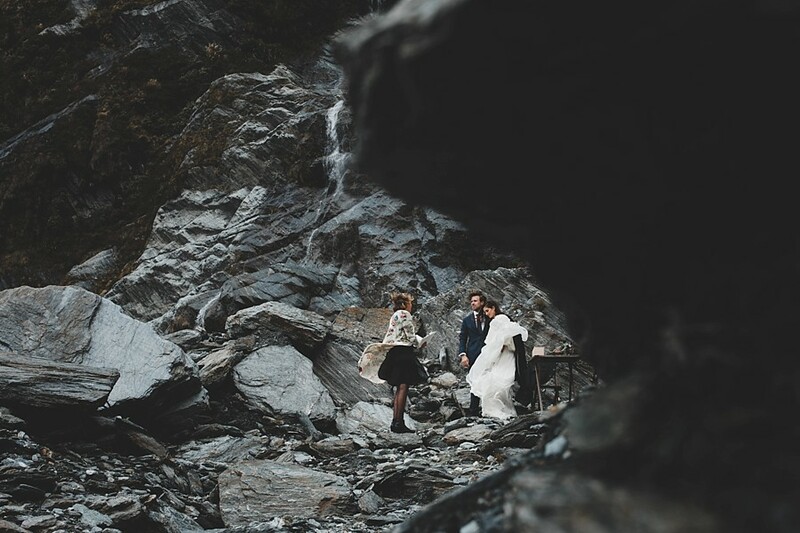 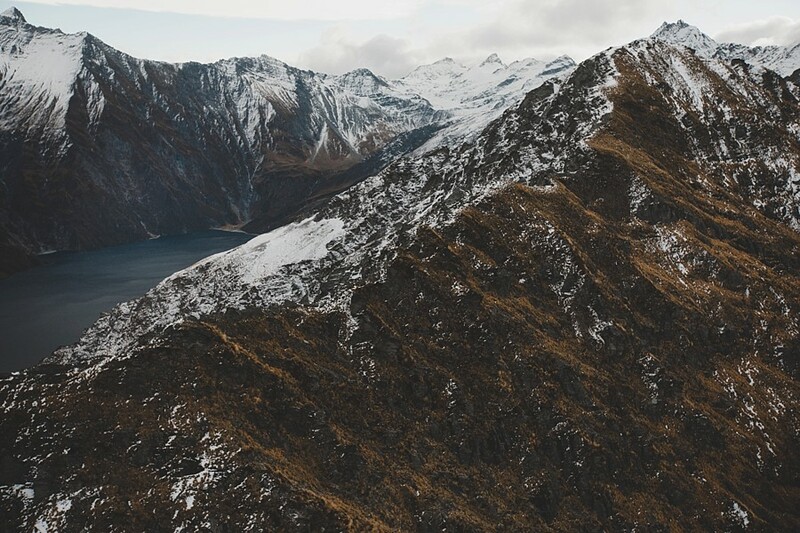 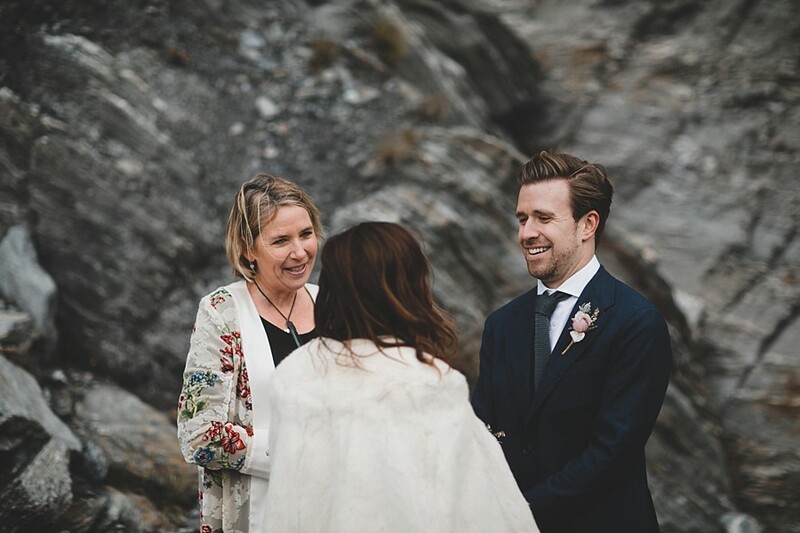 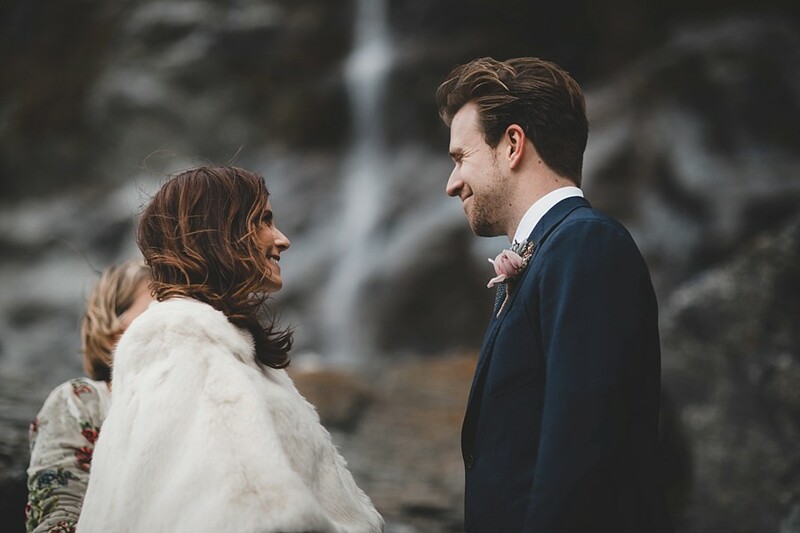 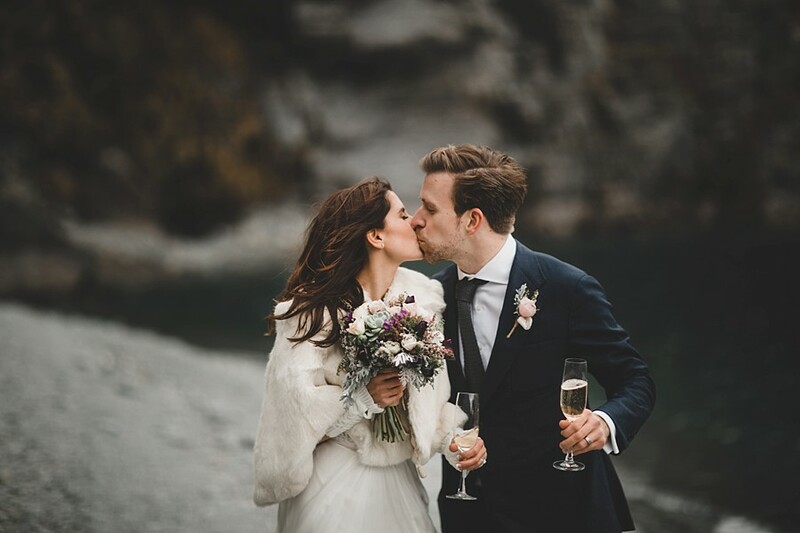 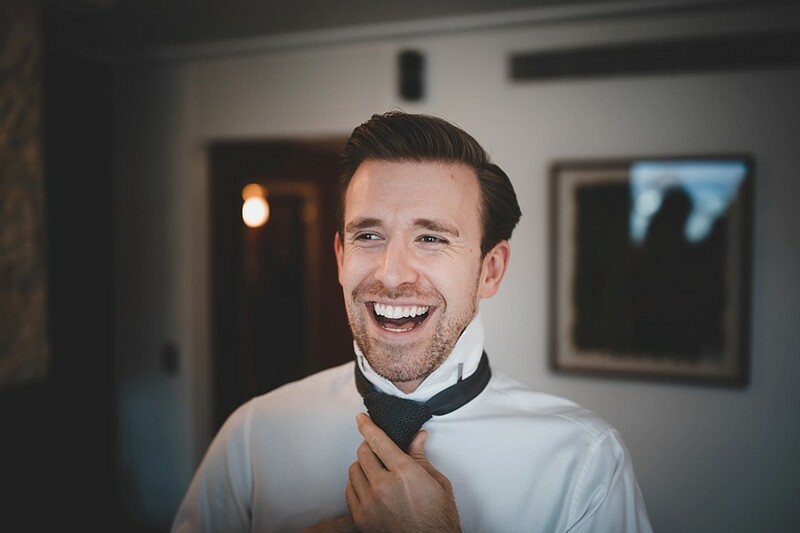 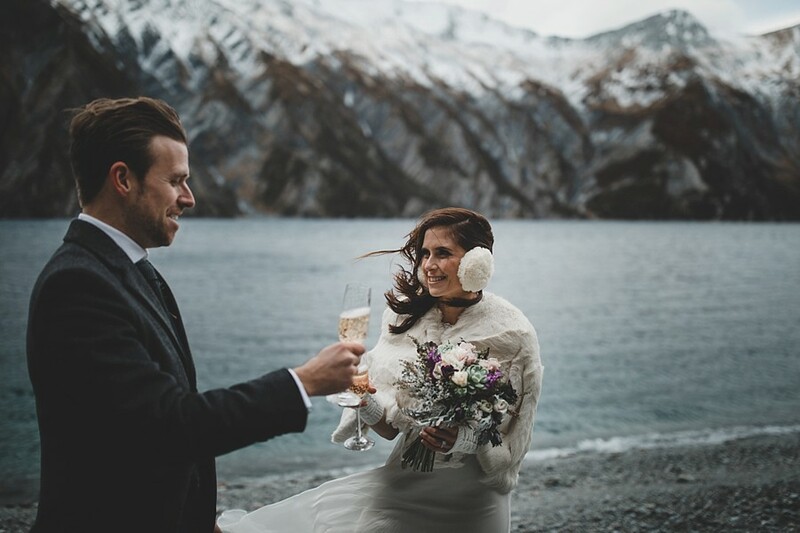 Between myself, Pete and James of Shotover Wedding Films – we had the choice of endless locations around the Fiordland National Park. 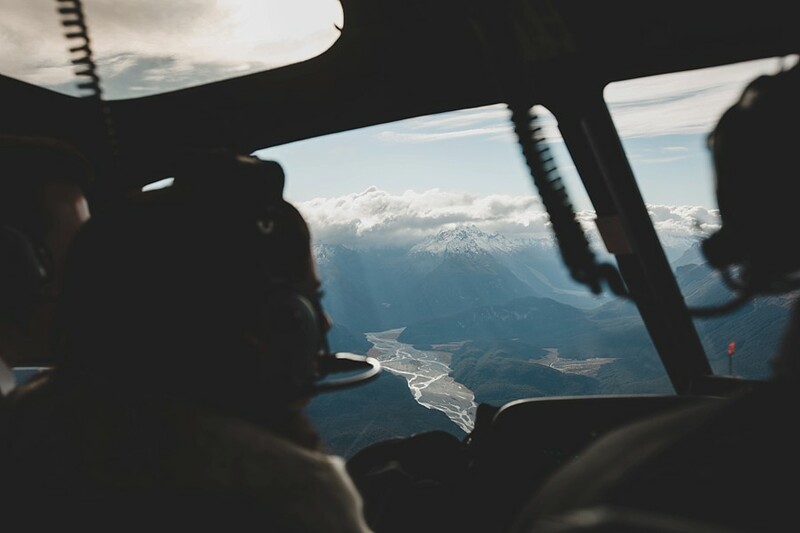 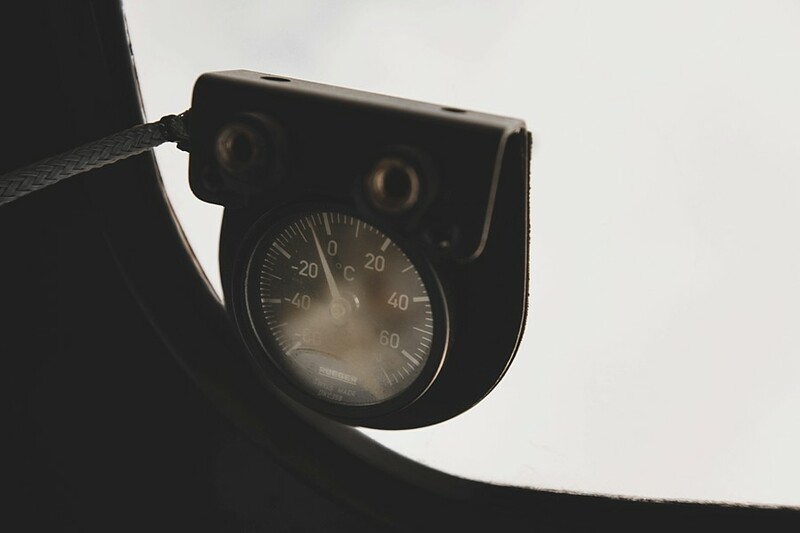 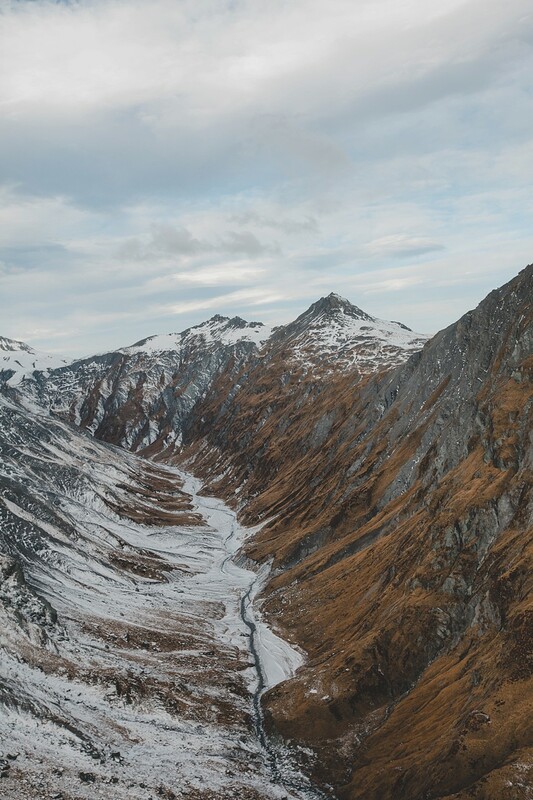 Our awesome pilot Guy, of Alpine Helicopters, picked us up from the Queenstown helipad and we flew a scenic trip across Glenorchy, the Dart River and Mt Earnslaw, before landing at Isobel Glacier for a few quick shots in the big chill (minus 5 with lots of wind). 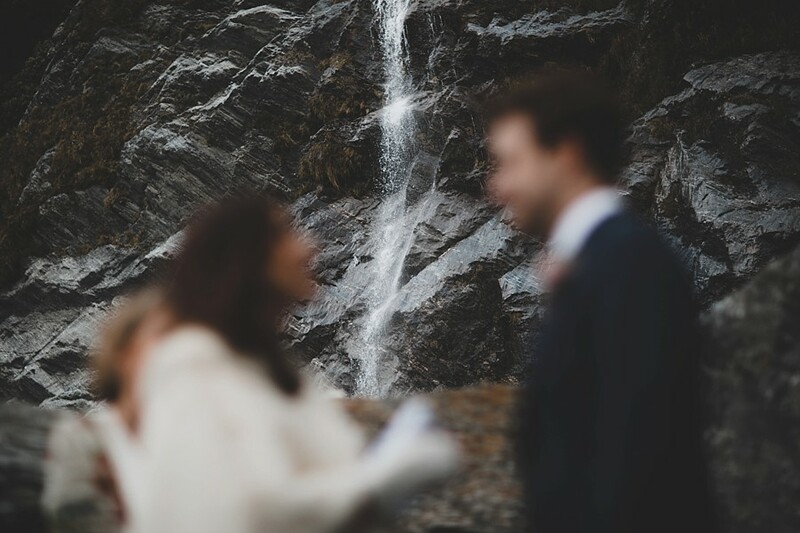 We found a sheltered spot beside Lochnagar for Kady & Scott’s ceremony, beneath a waterfall and impressive rock features. 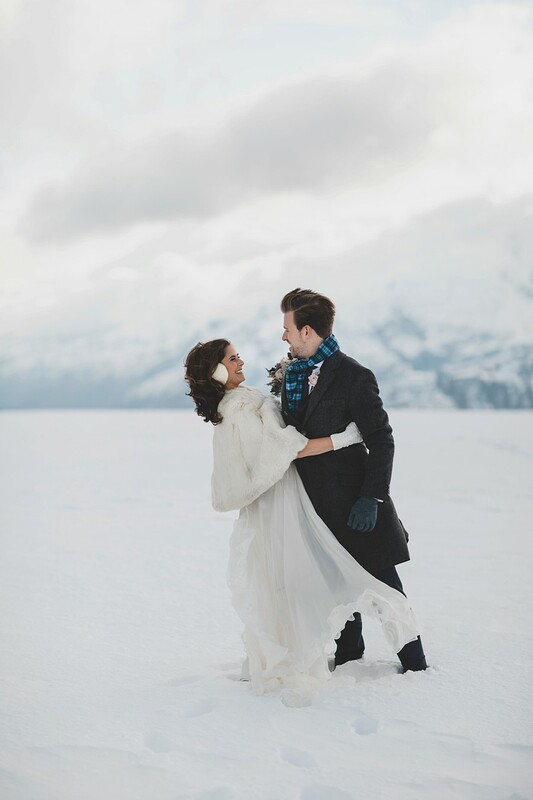 Congrats on a beautiful adventure!